Thank you for checking our website. 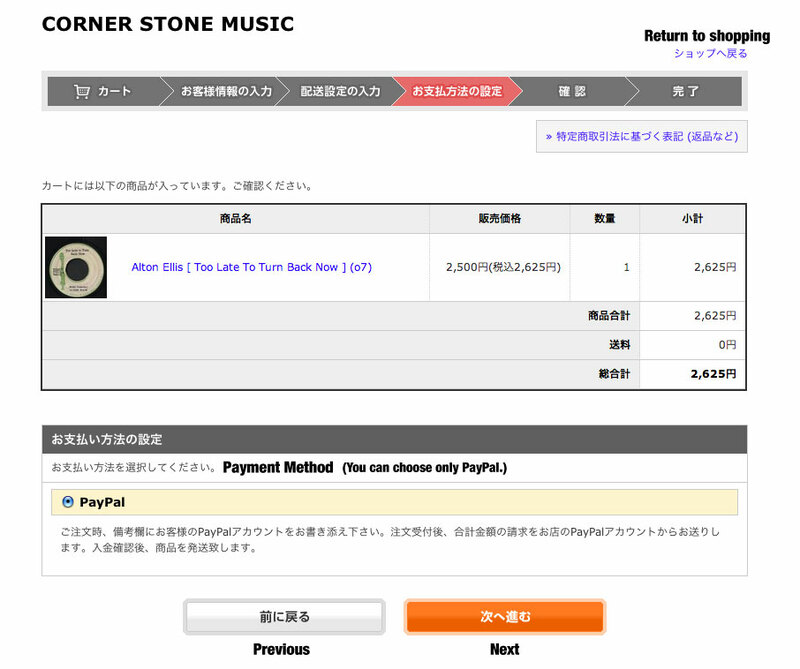 We can ship records all over the world. ex- some slight scratches but as good as "ex"
vg+ a few scratches, but the sound is fine. Our shopping cart is not multilingual. but the function is the same. So please try to use our shopping cart!! Step2. Input your postal address etc. - STEP 2 - Input your postal address etc. 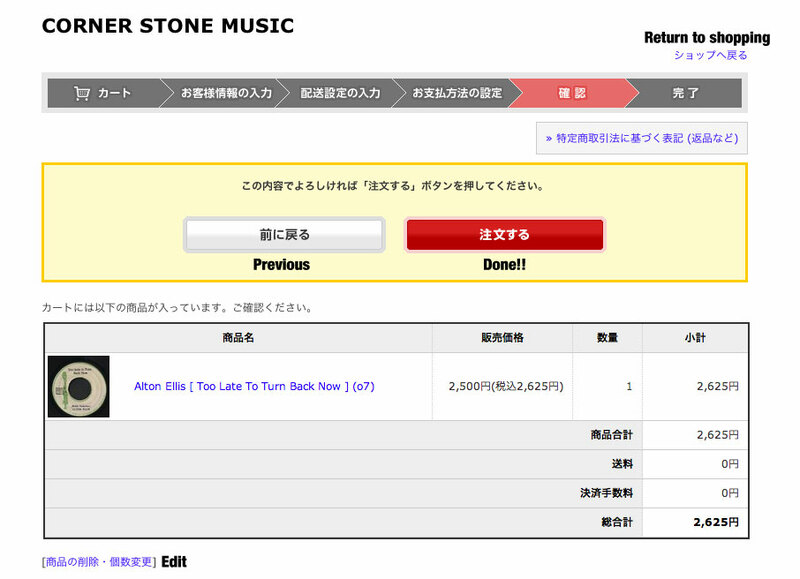 Please create an account for Corner Stone Music. From next time, you can place an order easier. You can choose to have your records shipped by EMS international express mail or registered air mail. EMS is a little more expensive, but faster and more reliable. Please choose shipping method when you order from our website. We only accept payment by PayPal. 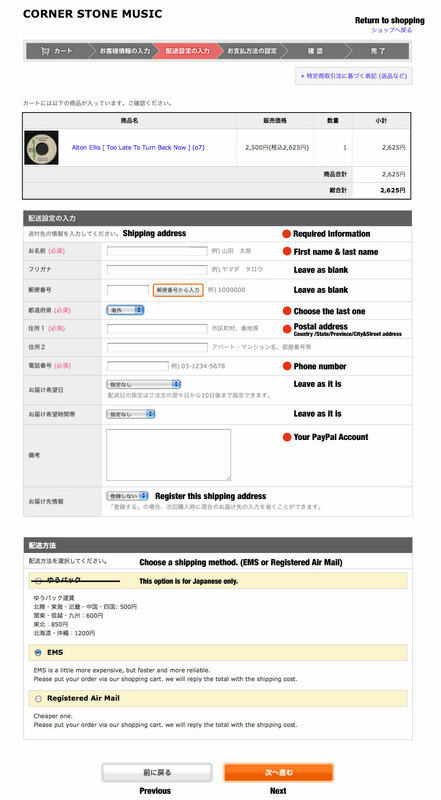 Once you have placed your order, we will send you an invoice by email including the shipping fee. - STEP 5 - Finish!! 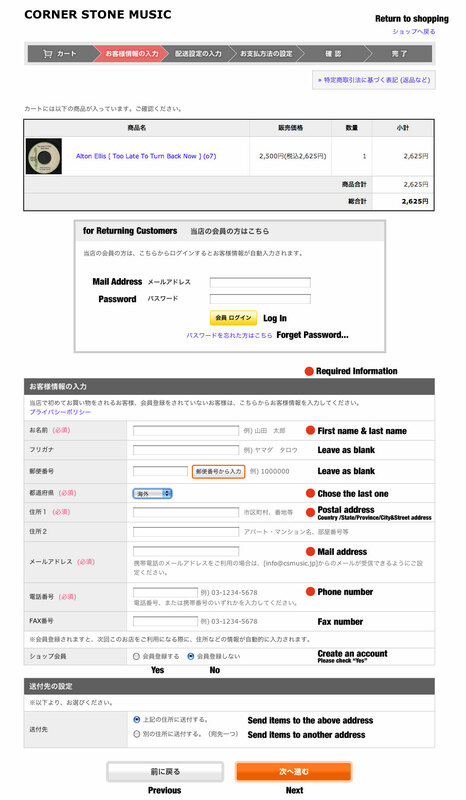 After you put an order via our shopping cart, you will receive an auto reply in japanese language. but don't worry about it. 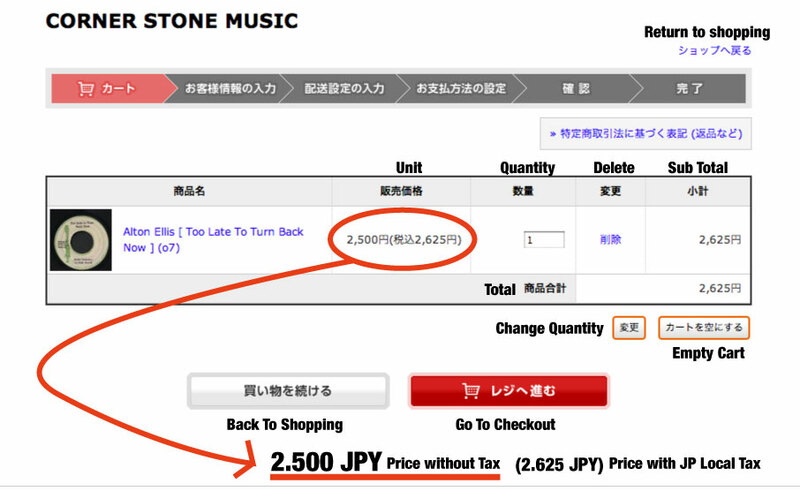 we will send the total amount without japanease consumption tax soon.